With its superficial structure this knitted dishcloth is perfectly suited for the cleaning of all kinds of surfaces such as glass-ceramic cooktops even with little or without dishwashing liquid. 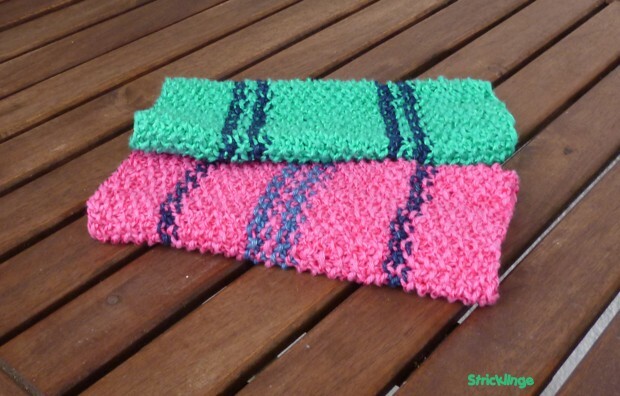 Also the knitted dishcloth is ecologically very worthwile because you can simply clean the used dishcloth in your washing machine (140°F / 60°C) and reuse it. 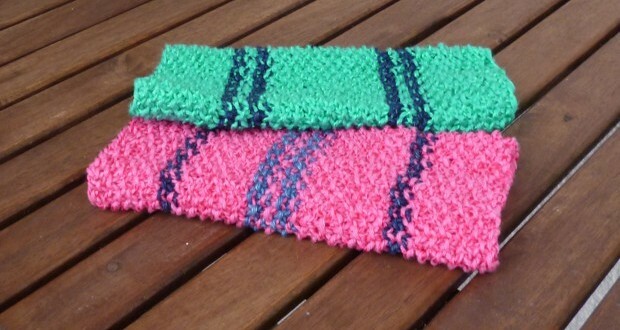 Of course, you can use your favorite yarn colours or colours that fit your kitchen furniture and equipment. There is virtually no limit to your imagination. 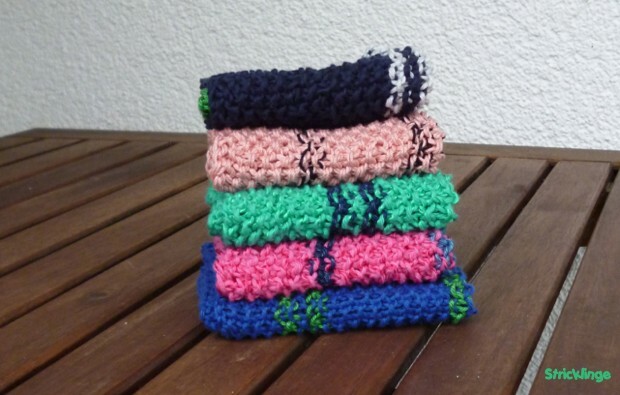 These colourful knitted dishcloths also make up a fancy gift, especially for people who already have everything! 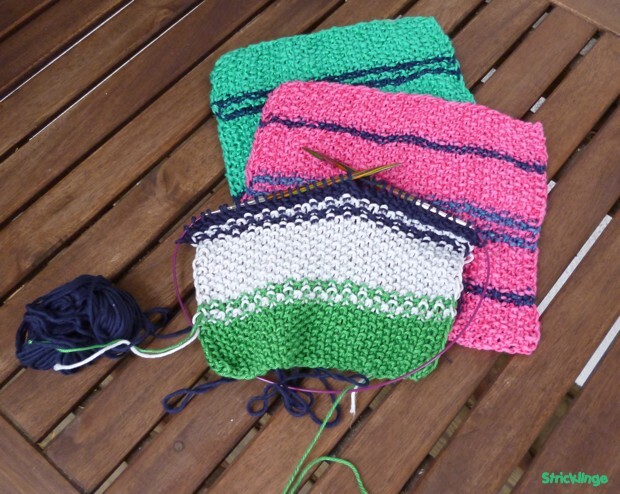 until cloth has the desired size, bind off, brake yarn and darn in ends.